When I was in school I had the beautiful kind of long hair , the enviable types :P but once in college keeping my hair open most of the time affected my hair growth and came the tsunami of hair fall. Ever since I am always on a look out for hair growth products. Hence when I saw this particular shampoo on sale I bought it without second thoughts. Coming to the review , Biotique Bio Kelp Protein Shampoo is one shampoo that has nothing to rave about. As I have long hair the shampoo didn't last long enough for me and the bottle was empty within a week! I like the color, yes ! I have seen very less shampoos is such a cool blue toned color, it smells great and does help reduce hair fall to an extent. 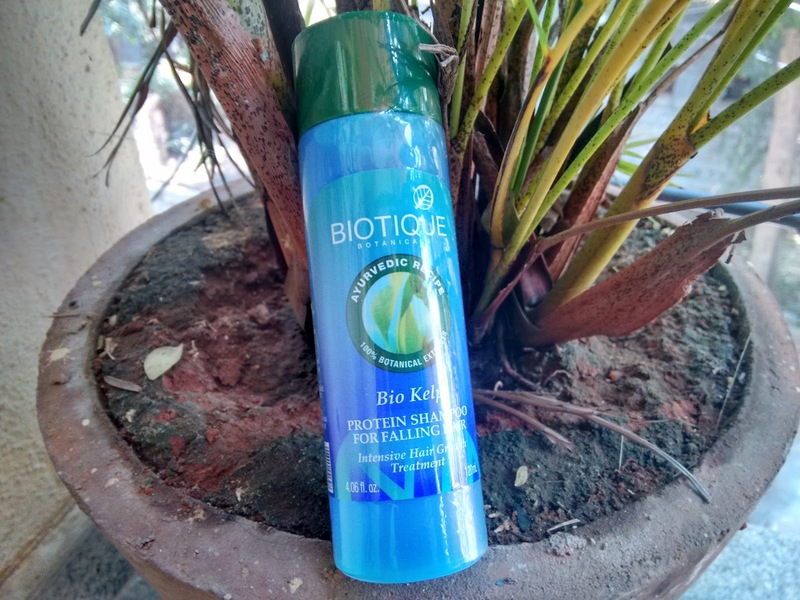 read on for a detailed review of Biotique Shampoo. Lather: It lathers well but make hair frizzy ! Now you can get intensive hair treatment that will help your hair strengthened with a rich feed of natural proteins! Not travel friendly . Plus the shampoo bottle doesn't come with a stopper and hence I always ended up with more product than I desired to use. But since the shampoo is of creamy consistency, learnt to remove the correct amount of shampoo after a few washes. 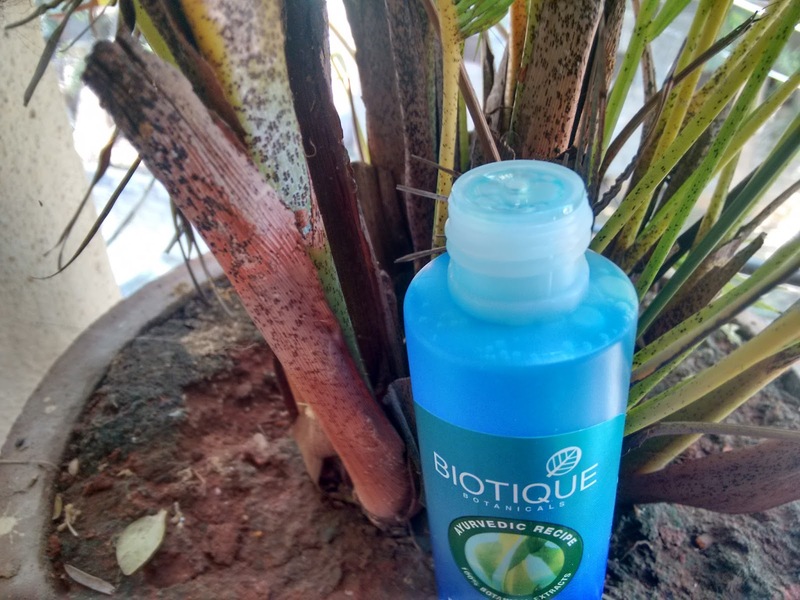 Packed in a normal bottle with a green cap, it is exactly like most of the Biotique shampoo bottles out there. No, it did not help in hair regrowth but it does seem to help reduce hair fall ! Every time I took a bath with this there was hardly any hair fall ! 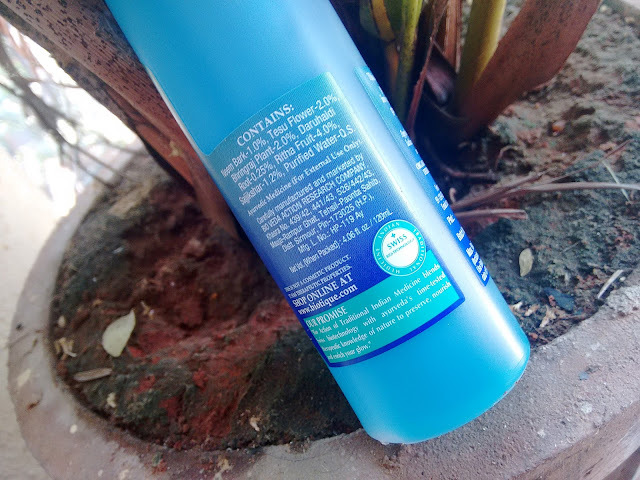 For those who have hair fall while bathing and after it , give this shampoo a try like NOW ! The shampoo cleanses the scalp well , but requires a little more amount of shampoo than usual . Other than that no downsides when it comes to cleansing! 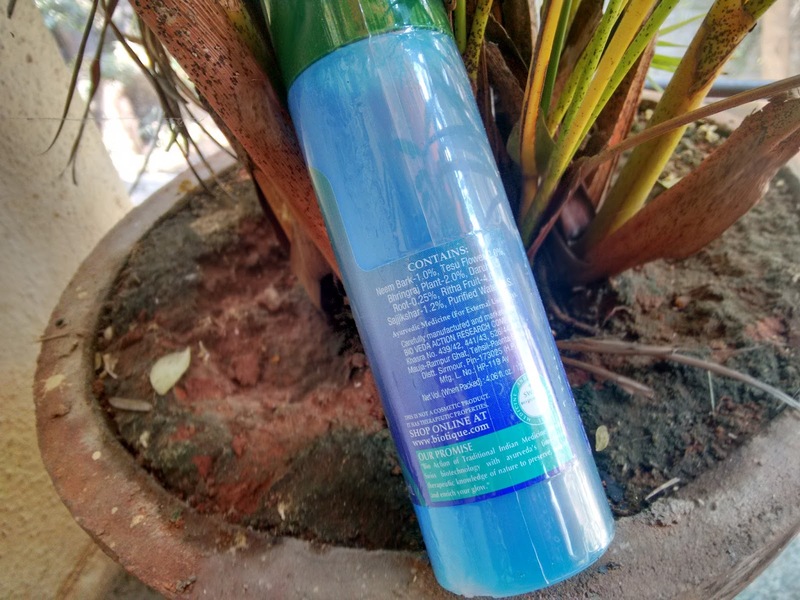 I would recommend this all those who are looking for a chemical free shampoo to reduce hair fall, other than that I found it wasn’t a shampoo that would makyou to rebuy it.